You are tasked with achieving an X% increase in unit sales. Yet resources remain at best flat or, worse, are cut. What % must you and your organization’s capabilities grow to accomplish this? Grow your people and organization to grow your business. 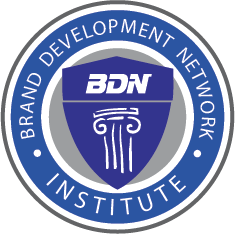 The Brand Development Network Institute is dedicated to coaching managers in the discipline and science of brand marketing to make marketing matter more in building leadership brands. These are live action workshops whose purpose and design is to get real marketing work done. So, marketers are not out-of-the-office for “training” but to work on their specific brands. Veteran BDNI marketers, Richard Czerniawski and Mike Maloney, provide practical training and coaching to help make the work outputs of marketers more productive. These are just some of the many BDNI advantages. Lunch & Learns are 90-minute workshops conducted at the client company’s facility, making it easy for all marketers to participate in learning new things, relearning and provoking new thinking. Marketing Coaching helps instill the “science and art” of marketing and assists marketers in conducting due diligence and pressure testing to help make your marketing matter more. Online Learning is just the refresher (to inspire marketing that matters) or primer (to acquaint everyone with the fundamentals and get all on the same page) marketers need. These workshops instill proven principles, best practices and quality processes in an experiential learning environment using the clients’ brands. Marketers learn by hearing, seeing, doing and receiving expert feedback through coaching. Unlike many didactic training programs we do not teach marketers “what” to think but “how” to think to leverage their knowledge and experiences with their brands and categories to help create brand loyalty and grow them. Brand Development Network Institute offers relevant and meaningful differences from other marketing training organizations and programs.